So does that quote sound like somebody you know? Somebody who is equal parts bubbly and sassy? Somebody who is small but mighty? Somebody who loves to play super villain to everybody else’s Batman? Well, then, you can just consider yourself warned! Because if you let your little girl get all dressed up in this awesome Girl’s Harley Quinn Tutu Costume for Halloween, she’s going to harness her new-found villainy into big action with a big attitude. And we’re guessing that nobody in Gotham City – not even Batman himself – will be able to chase her or her evil plots down then. Especially if they involve absconding with the most Halloween candy. I was extremely disappointed in this costume, I paid $45 for this costume, and the how it was put together was extremely lazy and not worth near what I paid! 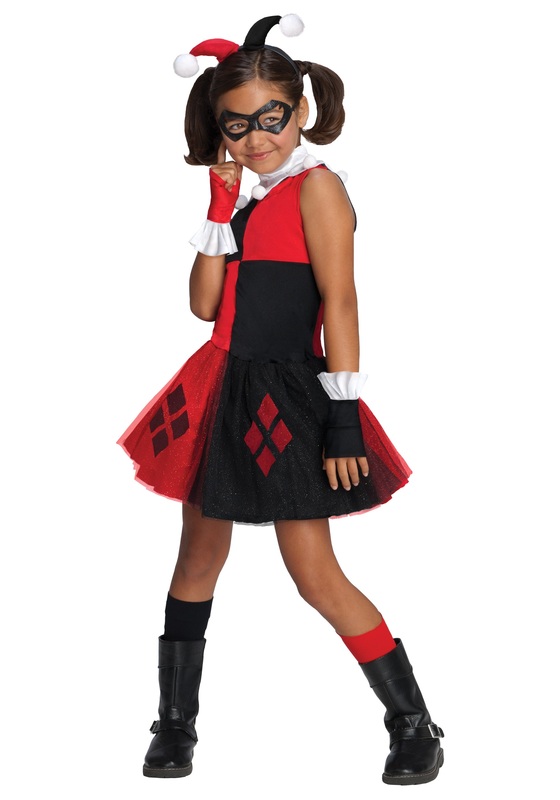 For starter's, my daughter is 6 years old, and the costume say's, M, 8-10, the dress barely skim's her behind, horribly short! 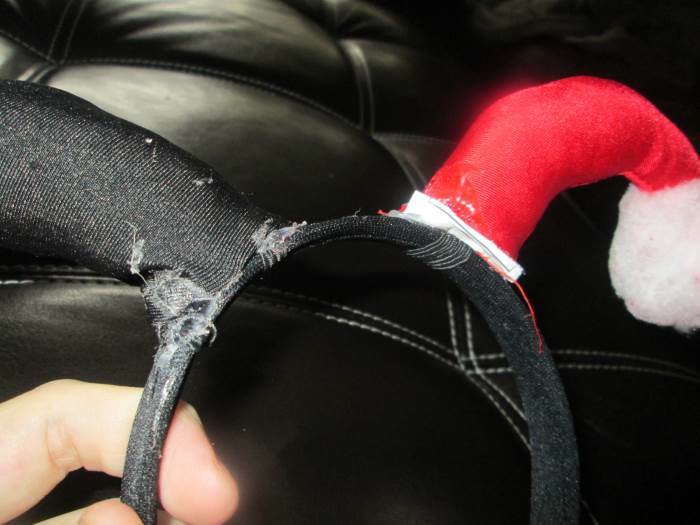 The headband had glue everywhere, extremely noticeable, and pretty sad! The red sleeve's were not sewn right, the white was coming undone. The neck jester part, again was not sewn correctly, coming undone as well! The only good thing was the mask. I will not be purchasing another costume through here again. After paying that much, the quality of this costume is very bad! Absolutely love this site. I can always find what I'm looking for at a great price. Keep up the good work! This costume was so cheap and flimsy and far too small for my daughter who is right smack in the middle of the sizing guidelines. I was extremely disappointed.